Home › Expatriate Services › Are you an Accidental American ?? Are you an Accidental American ?? Accidental Americans face ruin if their estates are not properly structured, a lawyer has warned. Accidental Americans are often children who are born in the United States but do not grow up there, children who are born outside of America but are automatically US citizens due to having a US citizen parent, or non-US citizens who live abroad but have a green card. Erik Wallace, a Hong Kong-based US tax lawyer, says he has seen undiminished interest in US citizenship and residency from wealthy individuals in Asia. A lot of people go to the US to give birth to make their offspring US citizens – Chinese families often do it because they want their children to have the option of a US college education. Another option is to acquire green cards for the family, often through a residency by investment programme; such as the EB-5, US Investor Visa Programme. While US citizenship creates opportunities in life, it also creates tax complications. The problem comes in because the US is one of two jurisdictions (the other being Eritrea) to tax its citizens on their global income and capital gains. The US tightened the enforcement of the rules in 2008 when the Internal Revenue Service (IRS) began going after Swiss banks who it believed were assisting Americans hide assets. The IRS then launched a highly publicised Offshore Voluntary Disclosure Programme in 2009 and imposed additional reporting obligations on non-US financial institutions in 2010 through Fatca (Foreign Account Tax Compliance Act). 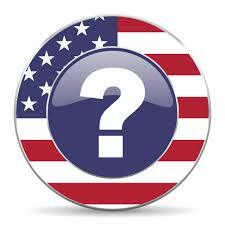 Generally, a US person must file a tax return or provide account information even if no US tax is due. Failure to do so comes with hefty civil, and potentially criminal, penalties. The US grants a foreign earned income credit and a foreign tax credit that often means taxpayers based overseas, particularly those residing in high-tax jurisdictions like the United Kingdom, have no US tax due. However, the taxpayer must still file a tax return to avail themselves of these credits. Further, the taxpayer must report their non-US bank accounts in most circumstances on a form known as the Foreign Bank and Financial Accounts (FBAR), regardless of whether tax is due. For US taxpayers living in low-tax jurisdictions, like Hong Kong, they often owe tax with their US tax returns. The US also imposes US federal estate tax on its citizens (at rates currently up to 40%) on the fair market value of a US person’s global estate when they pass away. “If an estate is not properly structured, the US estate tax can be disastrous for the family, especially if combined with the local estate or inheritance tax,” explains Wallace. “If a family wants to leave a business to a US child, it can become subject to this 40% tax, which has been historically 50%. You are looking at the loss of the business before you reach the third generation. “With proper structuring the US federal estate tax can be avoided or the impact minimised; there is nothing egregious about that and it doesn’t have to be expensive,” advises Wallace. Some families would prefer to pay to set up a private trust company – it takes time and money but it gives the family more control. Doing nothing and simply avoiding US tax collectors is not an option. Wallace warns that the IRS is “quite aggressively” going after the “low hanging fruit” with fines and back taxes. “It has never been a more dangerous time to remain non-compliant due to Fatca as the IRS is collecting information from around the world about financial institution’s US account holders,” he said. If you would like to know more and how we can assist, we also have our SEC license in Singapore so we are regulated and experienced in assisting US Citizens.